AP Government students at Woodland High School get in on March Madness each year by debating the merits of 16 different Supreme Court cases to determine which ones have the most significance on American society. Students form four teams to debate the significance of 16 famous Supreme Court cases chosen from the 32 they have studied throughout the school year. Teams debate why their case holds more significance than their opponent's in a traditional debating style where one team presents an argument followed by rebuttals and counter-arguments, all timed so students must create concise arguments and responses. 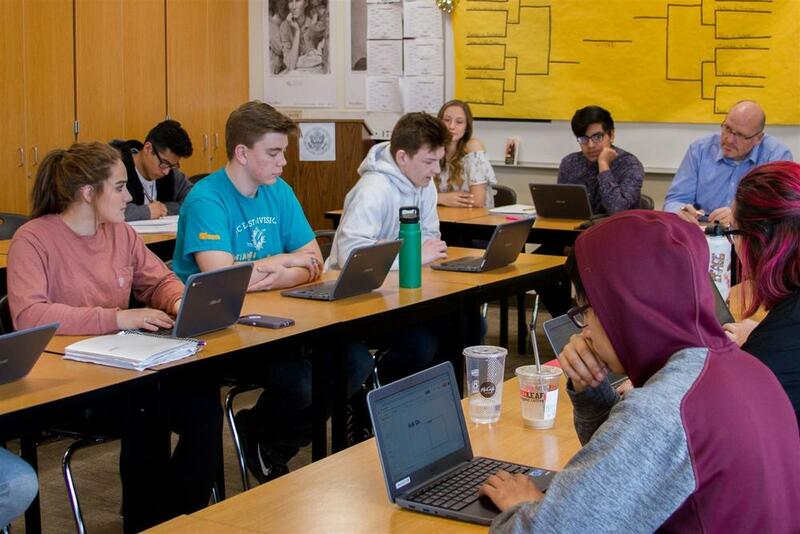 Students use Chromebooks and cloud computing throughout the project to research cases, create arguments and even brainstorm rebuttal during the live debates. Sharon Conditt serves as the debate moderator by keeping track of time and ensuring teams follow the rules of proper academic debate. Students choose roles on their team which fit their personal strengths including speakers, researchers, and notetakers. 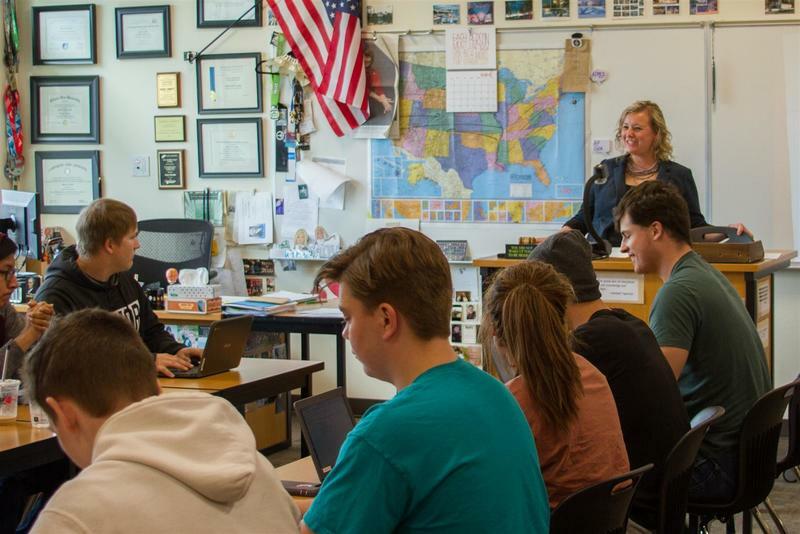 "Some of my students know that they can listen to and dissect an argument, so those students will take notes on the team’s shared Google doc while other students may take on different roles for different cases," explained Conditt. "It's entirely up to the team as to how they want their dynamic to work." Adult volunteer judges observe the debates and select the winners for each round. Judges include school employees ranging from secretaries and athletic coaches to school administrators as well as the district superintendent. Judges receive ballots for each case, scoring the quality of the arguments presented by the teams. The winning teams advance in the tournament and argue against other teams. "There is no way we could do this project without the help and support of our building and district staff," said Conditt. "I am so thankful for the Beaver Pride!" 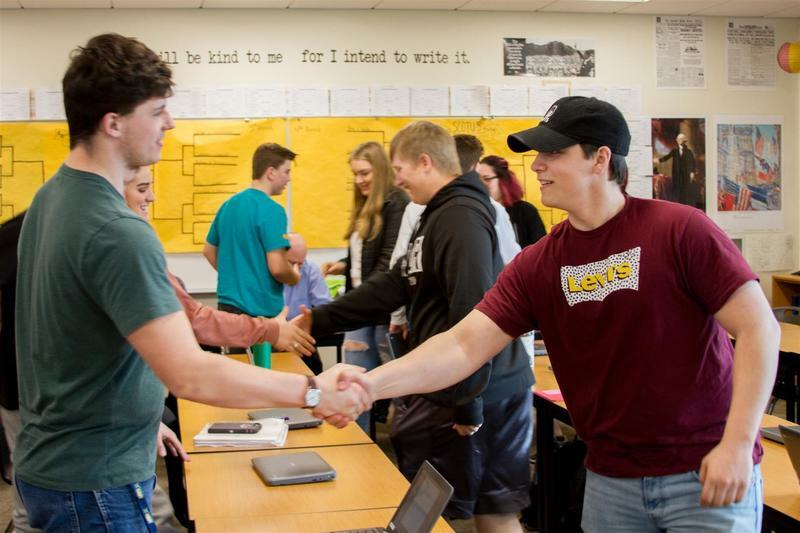 In addition to learning teamwork and effective communication skills, students learn how to make academic evidence-based arguments without taking the debate personally. Condit’s motivation to develop new projects and coursework comes from watching her own students learn. "My students inspire me and they deserve the best I can give them each and every day," she said. "I am always looking for new ideas to engage them and push their abilities so we can celebrate our strengths and overcome weaknesses both as individuals and as a class."